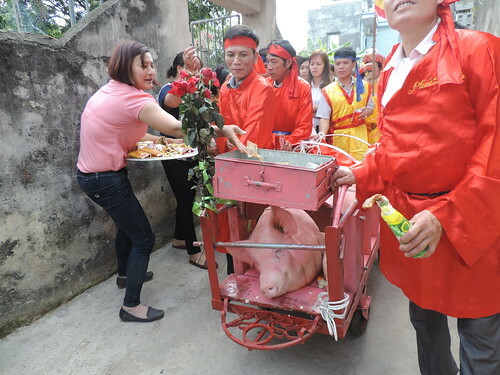 Vietnam’s central government has given the strongest indication yet that cruel events such as the Nem Thuong pig slaughter festival will no longer be tolerated. The strong statement is the latest in a series of central government releases criticising the Nem Thoung festival since Animals Asia highlighted the brutality of the event in 2014. Since then, more than 30,000 compassionate people from around the world signed Animals Asia’s petition against the festival prompting widespread coverage in the Vietnamese media. 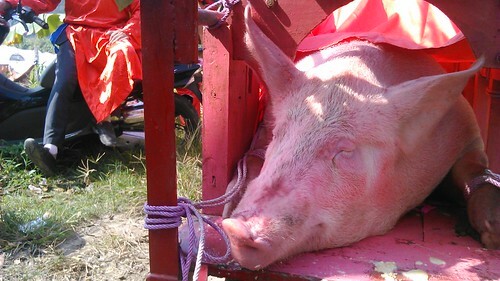 The campaign has impacted animal cruelty far beyond the pig slaughter festival, with the authorities keen to halt all cruel festivals, which many now see as belonging to the past. Support has also come from the Vietnamese public – 79% of which agreed in a newspaper poll that the pig slaughter festival should end. The under fire festival has since toned down the brutality of the pig slaughter ritual – holding the killings in private rather than public – but clearly hasn’t done enough to dampen public and governmental disgust. “It’s very clear that central government want Nem Thuong and all festivals which involve the suffering of animals to end immediately. However, it remains to be seen how that translates into action on the ground. More reading – “It’s Just a pig!” - how an Animals Asia campaign helped change Vietnam for animals.